California real estate can sometimes be tricky. When you’re shopping houses in Palm Springs, you may encounter the term lease land. When you hear those words, they mean that the current homeowner is selling the home, but not the land on which it sits because the property is owned by someone else. Therefore, when you buy a house on leased land, you must include lease payments to the landowners as well as mortgage payments for the home. Here’s some insight about lease land vs. fee land in California. ❓What is Lease Land in California?  Who Owns it Anyway? Nineteenth-century business transactions in the Coachella Valley in California created a predicament in which a portion of land in Palm Springs, divided like a checkerboard, belonged in part to a railroad company, and in equal part to Native American tribes. Today, the area is referred to as being Indian and non-Indian land. Much of the highly sought after real estate in Palm Springs communities is on Indian ground. Back in the 1870’s when the seeds for this deal were planted, no one knew how the area, or society, would evolve. Through levels of refinement and adjusting, modern day finds a solution that creates a win/win for the Indian landowners and the home-buyers wanting to purchase houses that were built on Indian land. Most Indian land in Palm Springs, California is managed by the Bureau of Indian Affairs. There are exceptions, but the general idea is that a person buying a house built on Indian land must lease that land for the duration of the time they live there. In other words, the house is for sale, but the land is not, so buyers must lease the land. Banks in the area are familiar with the situation, and some banks specialize in lease land mortgages. 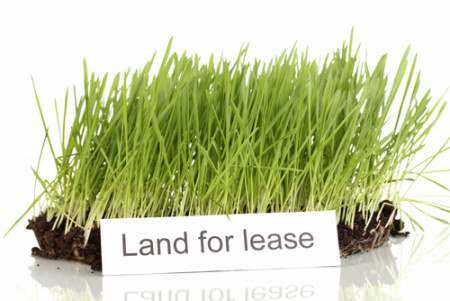 Find a lender who is familiar with lease land if you find yourself in this situation. 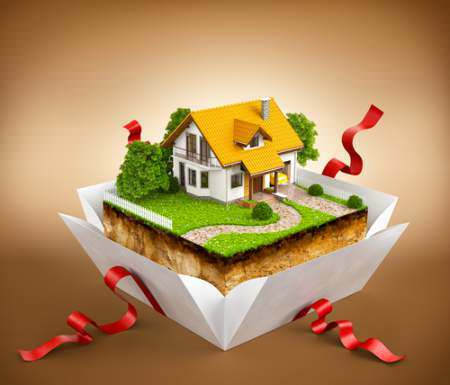 Fee land in California is a simple concept – you purchase the area for an outright fee. You become the landowner as well as the homeowner without having to pay leasing payments to a third-party after you buy your home from the seller. So the concept is simple on fundamental levels. With lease land, you pay leasing fees to the landowner along with your mortgage payment, and you never own the property on which your house sits. With fee land, you buy the ground along with the structure. You might find yourself reacting oddly to the idea of buying a house and leasing the land on which it sits but think about this. When you purchased your home and signed the deal for a 30-year mortgage, your home became collateral for that loan, which means that technically the bank owns the house until your final payment is made. So for thirty years, even with fee land, you don’t own the land. If you separate your land budget from your house budget, you can afford much more house for the money with a lease land transaction than without. Sellers know they cannot charge you for the land, and so the value of homes for sale on lease land is considerably cheaper than homes that come with the land on which they sit. There is a bit of conflict regarding property taxes and land leases. In fact, there’s litigation over whether or not the U.S. government has the right to tax land owned by Native Americans. Those deliberations can and likely will affect homeowners with land leases. You might be able to get a much bigger house than you’d imagined if you consider a land lease vs. a fee land purchase. However, those savings could come with risks and legalities. Before you leap, contact a real estate agent who specializes in land lease real estate transactions. Your experienced agent can advise you along the journey and can help you avoid certain pitfalls when considering lease land transactions. There’s no doubt that the originators of the land-deal that divided Palm Springs like a checkerboard had no idea what would come of the seed they planted. But they’d surely be impressed by the smart arrangements between modern-day home buyers and the Bureau of Indian Affairs.